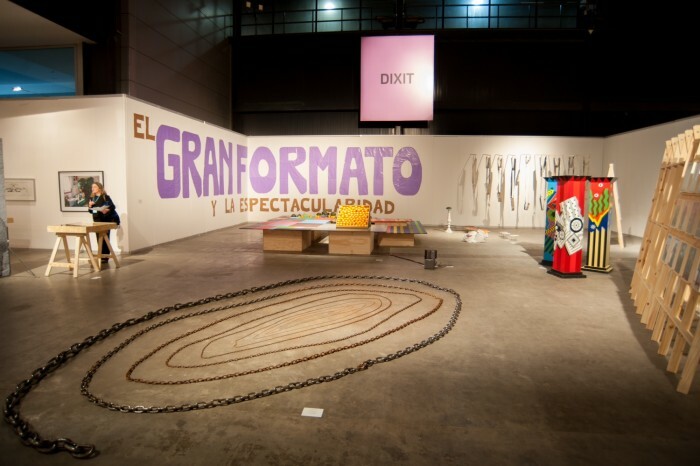 DIXIT, Oasis, curated by Federico Baeza, Lara Marmor and Sebastian Vidal Mackinson, arteBA 2016, Gentileza arteBA Fundación. Art fairs are a mirage in Buenos Aires. As if on a stage set, artists, gallery owners and collectors prepare for months to put on a series of events for the arteBA week, exhibitions and parties that portray an active, restive scene that, year by year, evinces considerable growth in terms of total art-space numbers and overall market interest. The truth is that once art week is over—between the exhaustion and the euphoria hangover—the city goes back to its normal course; the international visits and frenetic days come to an end. Buenos Aires is a cool city to live and work in, with a small but active art scene that still supports a certain bar culture, a culture of clashing ideas and confrontation, explored in independent spaces. Galleries are a misfit format not always chained to the market and to moving merchandise; they can be anything from a space for parties and exhibitions to a study center or storeroom. This year arteBA celebrated its twenty-fifth anniversary, and the interesting part of analyzing that process is not just what impact the fair had on the market, but as well, a number of modifications and changes that it brought on in the art world, in exhibition formats, in artworks and in artists, since it seems inevitable to think of a fair as an isolated, protected space. Every edition leaves behind its echoes and consequences. If we look back at the first image arteBA presented in 1991, we see the fair entrance topped off with two columns and urns, as well as a long hallway with white drapery that falls to the floor. It looks like a wedding photo from the 1990s—some sort of neo-liberalism celebration from back in the day—but it’s unfair to condemn and crystallise the fair with this image. In the ensuing twenty-five years there were numerous changes, yet inevitably something from that image sticks with me every time I attend a new edition. “Pizza with Champagne” was one of the Carlos Menem presidency’s mottoes back in the 90s, a mix of fast-food and fine drink that defined the era’s culture and politics, marked by privatization and unemployment. That image and champagne as the drink of the illusion of social mobility persists at the fair; Chandon is the event’s principal sponsor. 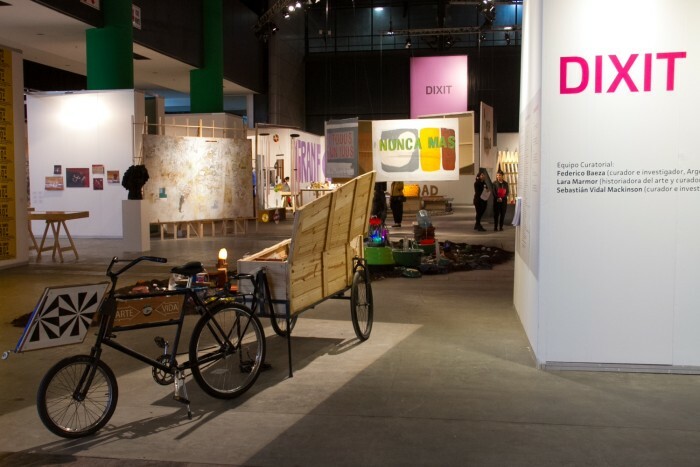 We make our way through arteBA with all the joy of that half-filled flute, at once forgetting and remembering what’s happening right now in Argentina, where a neo-liberal right-wing governs. We ended the night at Kentucky, one of Buenos Aires’s most famous pizza joints, at a branch just across the street from the fair venue. In 2001—the year of one of Argentina’s greatest economic crises—one of the spaces that stirred up the greatest resonance in the art world emerged from the fair. The Barrio Joven section was born as an initiative in which emerging galleries could participate in the fair at a lower cost. Year after year, a group of some twenty Latin American galleries and “young” exhibition spaces clustered in smaller areas toward the back of the fair venue, to establish their first market contacts and make a handful of sales. These spaces undoubtedly defined certain artists’ production in the years that followed. Barrio Joven’s stands became shop windows packed with little framed and unframed objects, alongside an urgency to sell, at whatever price, to at least cover overhead and pay the Fundación arteBA. This year the section seemed a little less cluttered; though the structure is the same as in the early years, there are fewer, but larger, artworks, at higher prices. Some galleries, barely months old, take part in the fair as a way of making themselves known; others that have been around longer take out booths in this section to reduce outlay; certain non-gallery-format spaces adapt the space during fair days as way of participating. Curated by Raúl Flores and Manuela Moscoso, the 2016 edition featured some proposals that distinguished themselves in comparison other years, such as that presented by UV estudios—a space that for a year has operated out of a rented house in Buenos Aires’s Villa Crespo quarter—and which managed to re-create a festival-like atmosphere that has been absent from the scene for some time. UV puts on one-day shows, theme parties, some artists have workshops there, and some of the rooms are used as temporary residences. They presented a video by the Uruguayan collective known as Básica TV, in which three members walk through a comfortable, middle-class apartment, parading about, tripping over one another and turning into household objects. arteBA magazine, arteBA 2016, photo Bruno Dubner. Coutesy of the author. The usual evocation is that the fair replaces an “absent biennial”—makes up for the lack of some mega-event that might bring together artists, be a forum for debate and mobilize the scene. 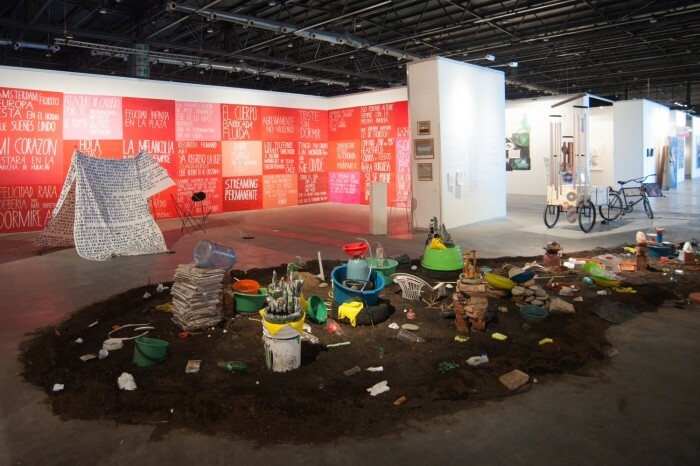 For that reason, arteBA includes a large area given over to art publications, a number of photography-focused booths (curated this year by Patrick Charpenel), and a space for individual projects, curated by Manuel Segade, who revisits the topic of body and gender. There was a debate and conference forum, coordinated by Victoria Noorthoon, and the fair even boasts its own magazine. 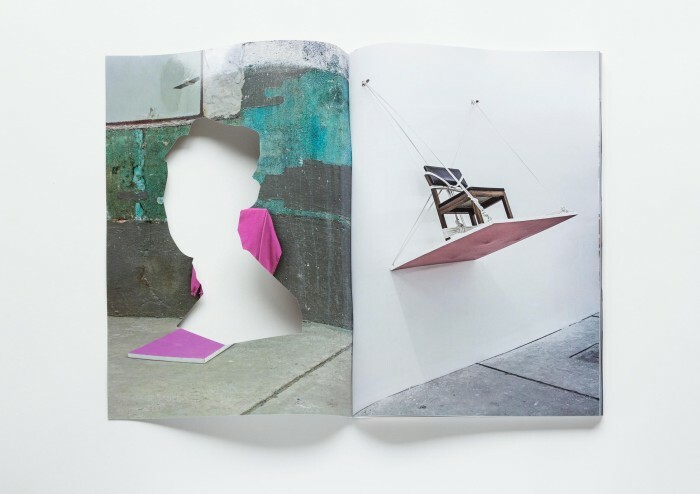 Edited by Santiago García Navarro, Rafael Cippolini and Inés Katzenstein, it is to be published twice yearly and will seek to document work by artists in Argentina and abroad, in a review-based format not unlike Artforum’s. 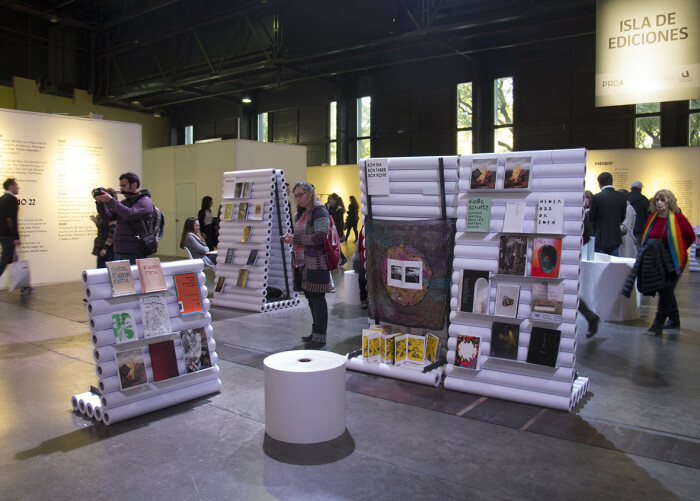 Isla de ediciones, curated by Mariano Mayer, Gastón Pérsico and Cecilia Szalkowicz, arteBA 2016, photo Cecilia Szalkowicz. The section that arguably gave rise to the most intense discussion this year was DIXIT, a fair space realized for a third consecutive year, that invites curators to select participating gallery artists as well as certain privately held artworks to develop a hypothesis that also aims to present an “historical” exhibition as part of the fair. The two previous editions, curated by Andrea Giunta and Julieta González respectively, privileged an international agenda that positioned Latin American art between conceptualism and its legacy, between politics and denunciation. This year the section seems to have taken an at-least 180-degree turn to take up strictly local concerns, solely inviting Argentine artists to participate. Entitled Oasis. Afinidades conocidas e insospechadas en un recorrido por la producción artística de nuestro tiempo (“Oasis: Known and Unsuspected Affinities on a Tour of the Artistic Production of Our Times”), curators Federico Baeza, Lara Marmor and Sebastian Vidal Mackinson ask, “Can contemporary Argentine art be defined by some possibly insular condition? Can we still imagine a place of withdrawal, an oasis, on the map of global flows? A separate, unclassifiable artistic landscape?” The premise was presented spatially through an accumulation of artworks, many supported by a series of wooden structures similar to those used in billboard advertising, with others suspended from the ceiling in such a way as to interfere with visitors’ movement through the area. 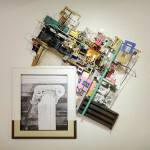 The first impression this year’s curation presented was one of moving on to the rest of the fair, without interruption. Elsewhere, certain projects recovered something of the interventions some artists made at recent years’ arteBA editions, like the prize the Rosa Chancho collective organized, or work Axel Straschnoy presented at one of the first Petrobras prizes. “Oasis” subtly provided an historical perspective on the fair, gathering a series of artworks that were affected by art market’s evolution and slow growth vis-à-vis arteBA. Once again the fair was a success. Its presence as an oasis has never been better defined. DIXIT, Oasis, con curaduría de Federico Baeza, Lara Marmor y Sebastian Vidal Mackinson, arteBA 2016, Gentileza arteBA Fundación. arteBA 2016: para aquellos que resisten el desierto. En Buenos Aires la feria de arte es un espejismo. 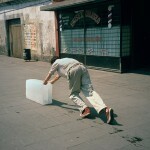 Como en una escenografía, los artistas, galeristas y coleccionistas se preparan durante meses para montar en la semana de arteBA una serie de eventos, exhibiciones y fiestas que presentan una escena activa e inquieta, que año a año demuestra un crecimiento considerable en el número de espacios de arte y en el interés del mercado. Lo cierto es que pasada esa semana, entre el cansancio y la resaca de la euforia, la ciudad vuelve a su curso normal, se acaban las visitas internacionales y los días agitados. Buenos Aires es una ciudad tranquila para vivir y trabajar, con un medio artístico pequeño pero activo que aún mantiene cierta cultura de bar, de enfrentamiento y de confrontación de ideas, que se exploran en los espacios independientes. La galería es un formato deforme que no siempre está vinculado al mercado y a la venta de obra; puede ser desde un lugar de fiestas hasta un centro de lectura, desde un espacio de exhibiciones hasta una trastienda. 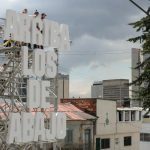 arteBA atravesó este año su 25 aniversario y lo interesante de analizar de este proceso no es estrictamente cómo la feria incidió en el mercado sino las diversas modificaciones y cambios que suscitó en el medio, en los formatos de exhibición, en las obras, en los artistas, pues parece inevitable pensar en una feria como un espacio aislado y resguardado. Cada edición deja sus ecos y sus consecuencias. Si nos remontamos a la primera imagen que nos dio arteBA en el año 1991, vemos el ingreso a la feria coronado por dos columnas y jarrones, y un extenso pasillo con telas blancas que caen y tocan el piso. Parece la imagen de un casamiento “noventero”, de una fiesta del neoliberalismo de la época, pero no es justo condenar y cristalizar a la feria en esta imagen. Durante los últimos 25 años sucedieron numerosos cambios, pero inevitablemente algo de ella resuena cada vez que la visito en una nueva edición. ¨Pizza con champagne” fue uno de los lemas de la presidencia de Carlos Menen durante los noventa, una mezcla entre comida barata y bebida exquisita que definió la cultura y la política de esos años, signada por la privatización y el desempleo. Esa imagen y el champagne como una bebida de la ilusión del ascenso social persiste en la feria ya que la marca Chandon es el principal patrocinador del evento. Recorremos arteBA con la alegría de esa copa a medio servir, olvidando y recordando a la vez lo que sucede en este momento particular del país, donde gobierna una derecha neoliberal. Terminamos la noche en “Kentucky” una de las pizzerías mas famosas de la ciudad que tiene un local frente al predio ferial. En 2001, año de una de las mayores crisis económicas del país, surge en la feria uno de los espacios que suscitó mas resonancia en el medio. El “Barrio Joven” nació como una iniciativa para que galerías emergentes pudieran ingresar a la feria, beneficiándose de costos mas bajos. Con espacios mas pequeños y ubicados hacia el fondo del predio, año a año un grupo de aproximadamente veinte galerías y espacios jóvenes de Latinoamérica se reúne allí para establecer sus primeros contactos con el mercado y concretar algunas ventas. Estos espacios definieron sin lugar a dudas la producción de algunos artistas durante los años siguientes. Los stands se transformaban en vidrieras abarrotadas de pequeños objetos enmarcados y sin enmarcar, como con una urgencia por vender a cualquier precio y cubrir, aunque sea, los gastos para pagarle a la Fundación arteBA. Este año el barrio se ve un poco mas despejado, aunque la estructura es la misma de los primeros años, hay menos obras, de mayor tamaño y de precios más altos. Algunas galerías con apenas meses de existencia participan en la feria para darse a conocer, otras que existen hace mas tiempo aplican a esta sección para pagar menores costos y algunos espacios que no tienen el formato de galería lo adaptan por esos días para poder ser parte de este evento. Bajo la curaduría de Raúl Flores y Manuela Moscoso, el 2016 trajo algunas propuestas destacadas en relación a otros años, como fue UV estudios, un espacio que funciona desde hace un año en una casa alquilada del barrio de Villa Crespo en Buenos Aires, donde se recuperó el aire festivo que le faltaba al medio desde hace un tiempo. Allí se realizan muestras de un día, fiestas temáticas, algunos artistas tienen sus talleres y algunas habitaciones se usan temporalmente como residencias. UV mostró un video del colectivo uruguayo Básica TV, donde los tres integrantes caminan en un departamento de clase media acomodada, donde desfilan, se tropiezan y se transforman en objetos domésticos. arteBA revista, arteBA 2016, foto Bruno Dubner. Cortesía del autor. Generalmente se justifica que la feria remplaza a la “bienal ausente”, por la falta de un mega-evento que reúna artistas, debates y movilice la escena. 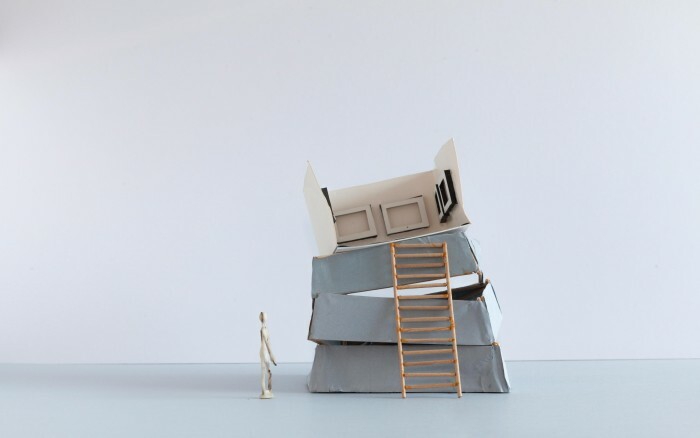 Es por esto que dentro de arteBA hay un gran espacio dedicado a publicaciones de arte, varios stands con fotografía (este año curados por Patrick Charpenel), un espacio para proyectos individuales con una curaduría de Manuel Segade que revisita el tópico cuerpo y género; hay un espacio de debate y conferencias coordinado por Victoria Noorthoon, y hasta una revista de la feria. Esta última, editada por Santiago García Navarro, Rafael Cippolini e Inés Katzenstein, se publicará dos veces al año con la intención de registrar la actividad de artistas locales en Argentina y en el exterior, manteniendo un formato de reseña al estilo Artforum. Tal vez, la sección que activó mas discusiones este año fue DIXIT, un espacio dentro de la feria que se realiza por tercera vez consecutiva y que convoca a curadores a seleccionar artistas de las galerías participantes y algunas obras de colecciones privadas para desarrollar una hipótesis, con la pretensión de presentar una muestra “histórica” dentro de la feria. Las dos ediciones anteriores, curadas por Andrea Giunta y Julieta González respectivamente, privilegiaron una agenda internacional que posicionaba al arte latinoamericano entre el conceptualismo y su herencia, entre la política y la denuncia. 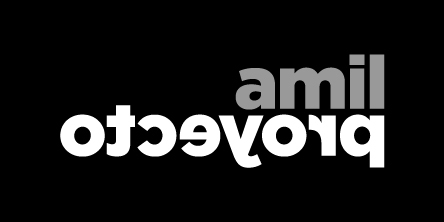 Este año la sección parece haber dado un giro de por lo menos 180° para ocuparse de problemas estrictamente locales, convocando exclusivamente a artistas argentinos. Bajo el nombre de “Oasis. Afinidades conocidas e insospechadas en un recorrido por la producción artística de nuestro tiempo”, los curadores Federico Baeza, Lara Marmor y Sebastian Vidal Mackinson se preguntan: “¿El arte argentino contemporáneo puede definirse por una posible condición insular? ¿Podemos pensar aún un lugar retirado, un oasis, dentro del mapa de los flujos globales? ¿Un paisaje artístico escindido e inclasificable?”. Esta premisa fue presentada espacialmente mediante una acumulación de obras, muchas sostenidas por una serie de estructuras de madera similares a las que utiliza la publicidad en la vía pública, otras suspendidas desde el techo interfiriendo la circulación del visitante. La primera impresión que presentó la curaduría de este año fue la de continuar al resto de la feria, sin interrupción. Por otro lado, algunos proyectos recuperaron parte de las intervenciones que hicieron algunos artistas durante arteBA en los últimos años, como el premio organizado por el colectivo Rosa Chancho o el trabajo que Axel Straschnoy presentó en uno de los primeros premios Petrobras. “Oasis” ofreció una perspectiva histórica de la feria de un modo sutil, reuniendo una serie de obras que fueron atravesadas por el desarrollo y el lento crecimiento del mercado del arte a través de arteBA. La feria, otra vez, fue un éxito. Su presencia como un oasis nunca encontró mejor definición.